Our few specimens referred to this apparently forest species are mostly lacking in habitat data other than thickets along a railroad embankment. 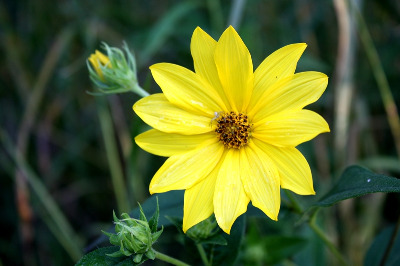 Presumably native in southern Michigan, as its range is usually stated to be from Pennsylvania to Minnesota and southward. It may stray into the Upper Peninsula from Wisconsin, but the Menominee Co. material is a little dubious as to identity. The position of the lateral leaf veins is not as consistent a key character as one would like. Both this species and H. divaricatus may have extremely short petioles (a sign of introgression in H. divaricatus? ); these tend to run a trifle longer or more definite in H. hirsutus. Some authors describe the junction of lowest lateral veins with the midrib in terms of distance from base of petiole. In H. hirsutus, then, the branching is more than 2 mm from the petiole base; however, this is sometimes the condition also in individuals otherwise referable to H. divaricatus. MICHIGAN FLORA ONLINE. A. A. Reznicek, E. G. Voss, & B. S. Walters. February 2011. University of Michigan. Web. 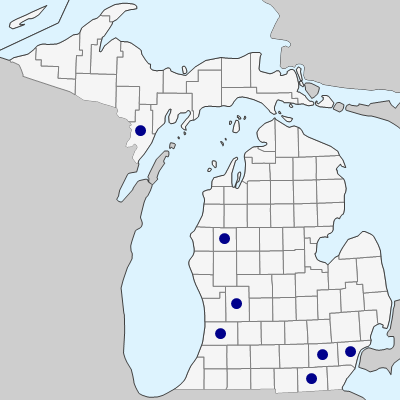 April 20, 2019. https://michiganflora.net/species.aspx?id=351.